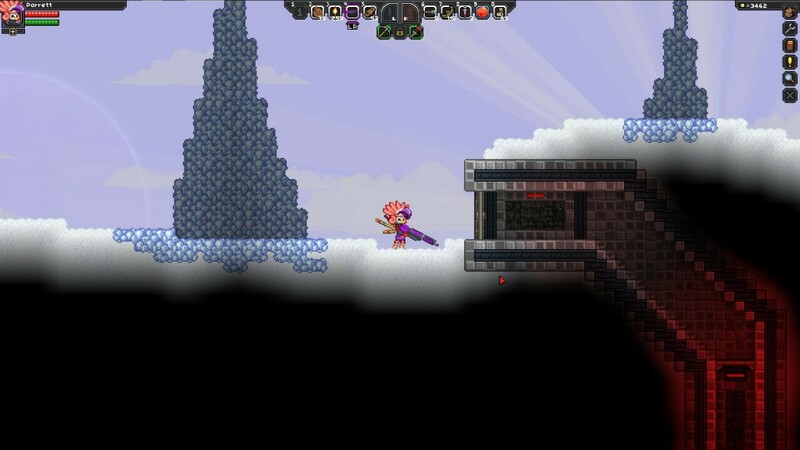 Recently I’ve been playing a lot of Starbound for PC, this side scrolling universe is such an addicting game! 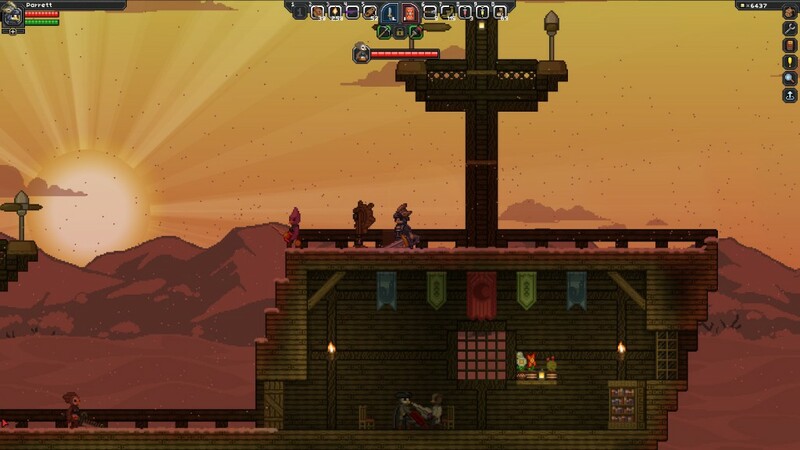 Create your own character, spawn on a random planet and explore the infinite world that you’ve found yourself on. There’s a lot to see, you can either run left or right and you’re bound to run into something interesting and valuable as you explore the planet. 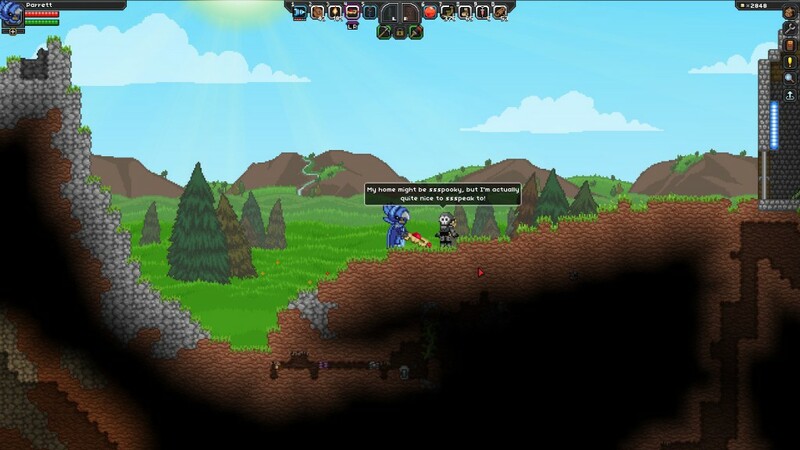 Once you get into the game, you’ll need to create your own character that’ll be exploring the vast universe of the Starbound world. 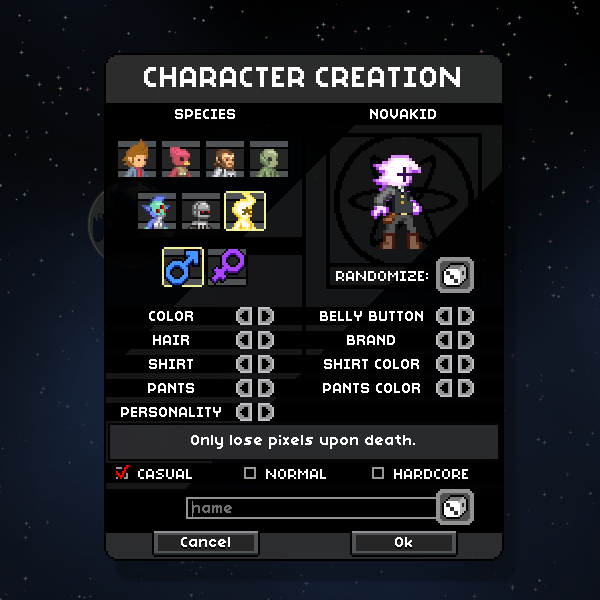 You’ll be able to pick your species, gender, clothing, name and difficulty on this screen. I love playing around with all of the different options because there is so much to choose from and if that isn’t enough for you then there are plenty of mods out there for download that adds more options such as species and shirts to the character creation menu. The screenshot to the right shows you the actual screen that you’ll be using to create your explorer. Currently there are 7 types of species to choose from and to my knowledge, there is no benefit to choosing one over the other. 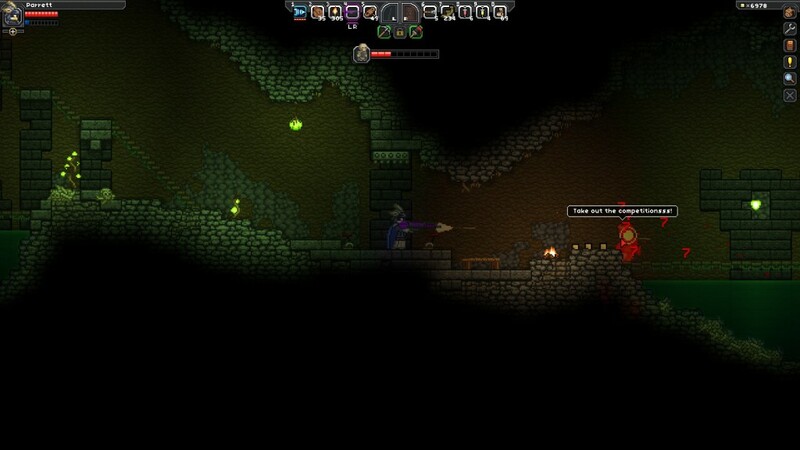 The only subtle difference is the armor that you’ll be able to craft in the game with a specific species. 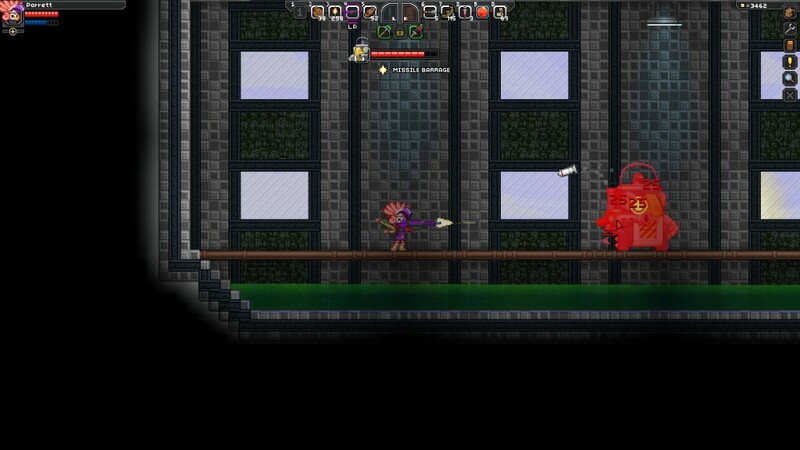 Tiy, the main dude behind the development of Starbound, has stated that there will be racial specific abilities in a future update but it is still unknown as to when they will be implemented. 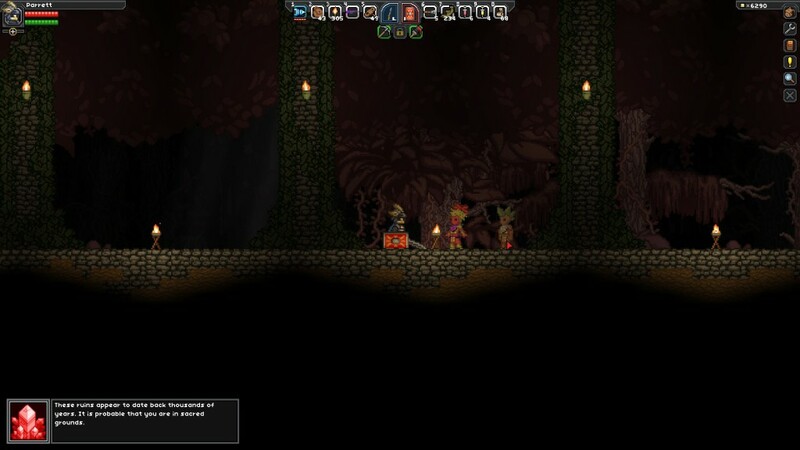 With that said, I’d like to explain the different species that you’ll be able to choose from and meet in Starbound. The next species, right next to the human species located at the top left of the species section, are the Avians. This is what I’m playing as on my main character, you’ll see screen shots down below of him. Avians are a bird-like species and are trained at birth to become fierce fighters. The Apex are similar to the human species, they’re basically humanoid looking apes. The Apex commit their lives to mastering the art of survival in the vast universe and they resonate with a modern look. Florans are expected to be a peace loving, nature based species – but they’re not. The perspective that exists of them being a peaceful and nature loving folk is exactly what has helped them survive in the universe. 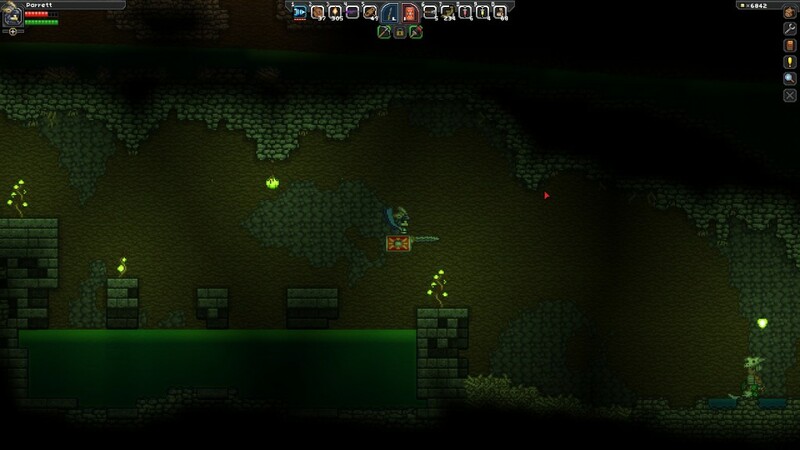 The Hylotl, an amphibious species, are water-based beings that strive for perfection. They love a Feudal Japan style and they’re not friendly towards the Florans at all because they drove them from their home planet long ago. 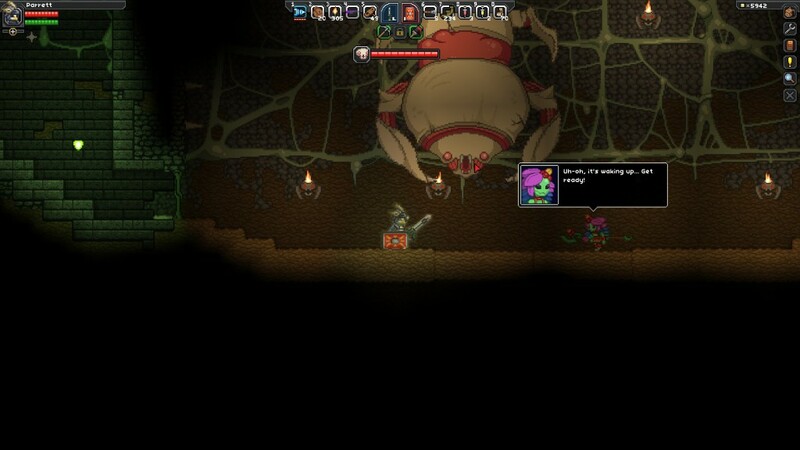 The Glitch species are robotic beings. It is unknown as to how they were created but they are created from some crazy technology. They were built as a means of simulating the social and technological progress of a civilization. 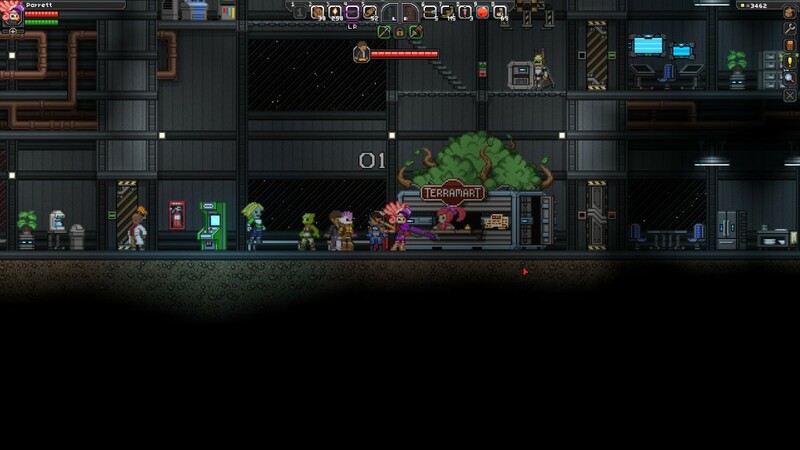 Lastly, there are the Novakids. 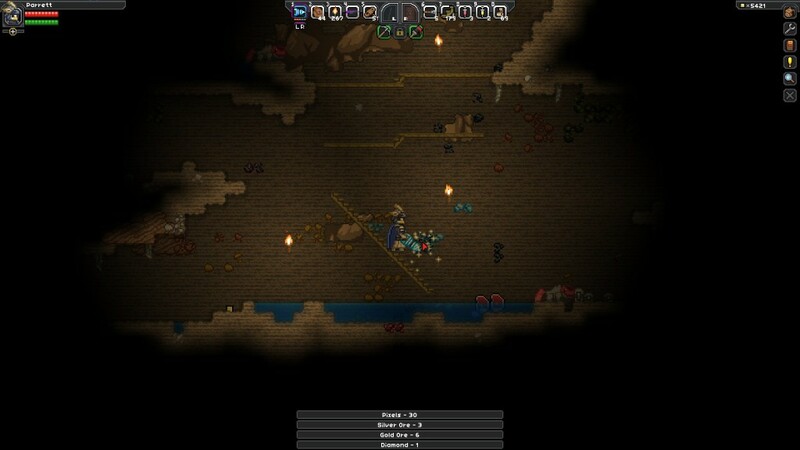 Novakids are themed after the American Wild West and are made out of some sort of fire-based energy. Their branding is what differs them from each-other and they give off a faint glow from their head. 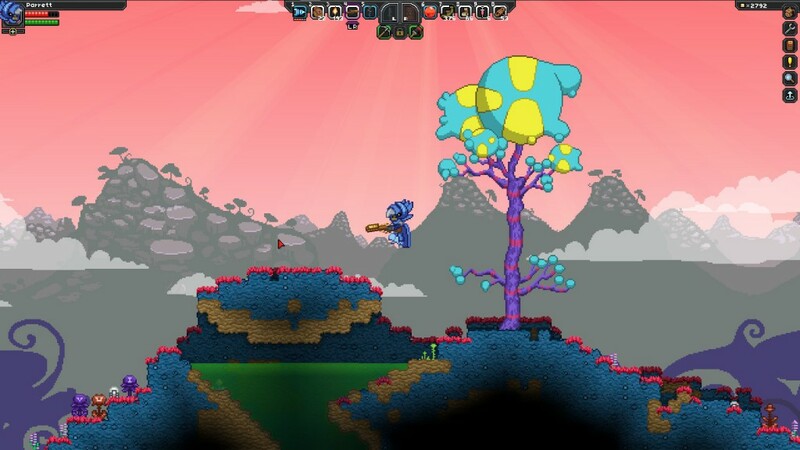 This species wasn’t apart of the game at launch but was added in a later update due to popular demand on the official Starbound forums. 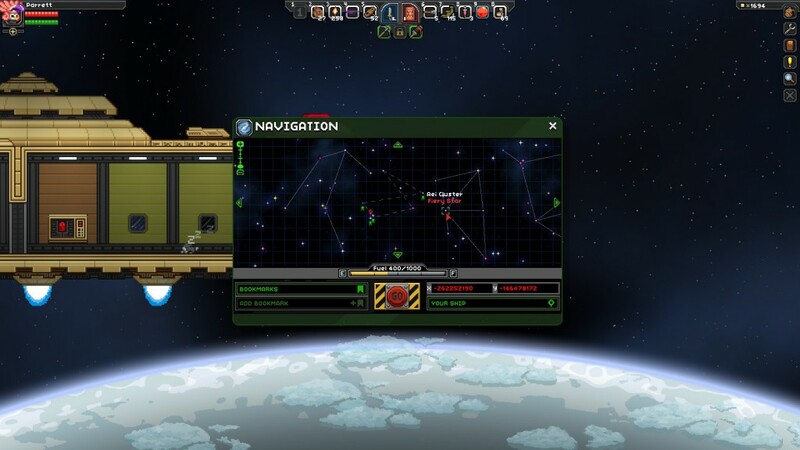 You can fly to an unlimited number of planets and orbits in this game, the exploration is infinite. Have you ever played Minecraft? If so then you are most likely familiar with the seed of a Minecraft world, right? 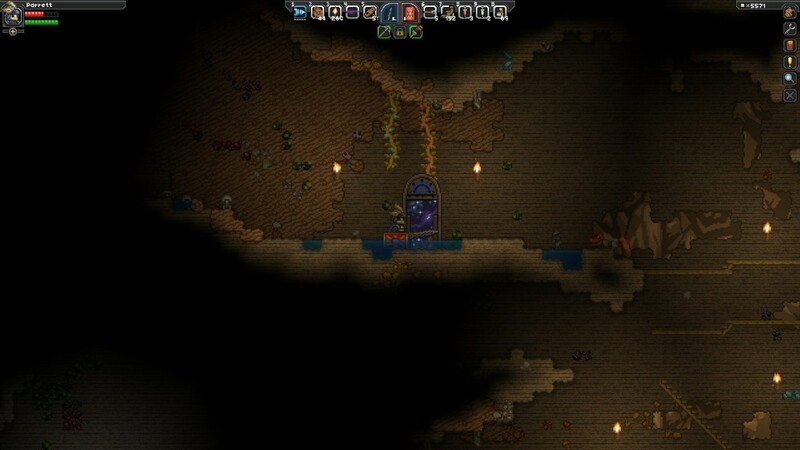 Well Starbound basically has that same thing except instead of a seed, they are universal coordinates to a planet that basically acts as a world seed. 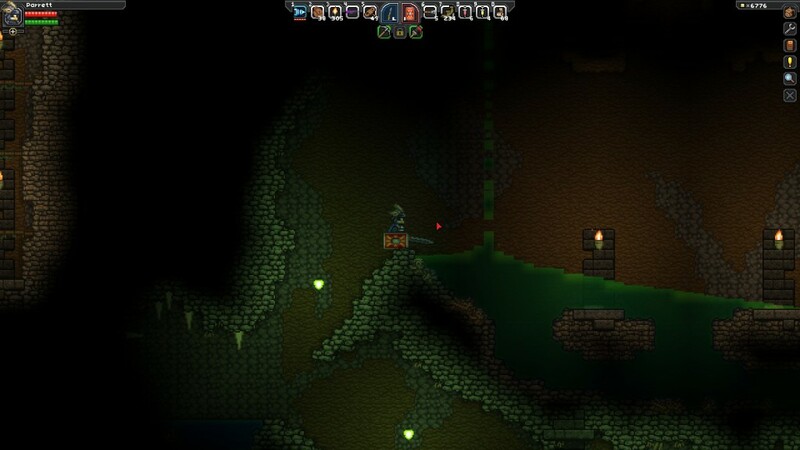 There’s a website called Starbound Map that allows users to post different coordinates that they come across that has different dungeons and/or loot that is valuable to a Starbound player such as good weapons or cool cosmetic stuff to find. Check out that site and see for yourself how many planets you’ll be able to explore in the Starbound universe, there’s pages and pages of planets on that website but there’s literally an unlimited number of these side scrolling planets to explore. To the right is a screenshot that I took of what it looks like when you’re exploring different sectors of the universe to explore stuff. 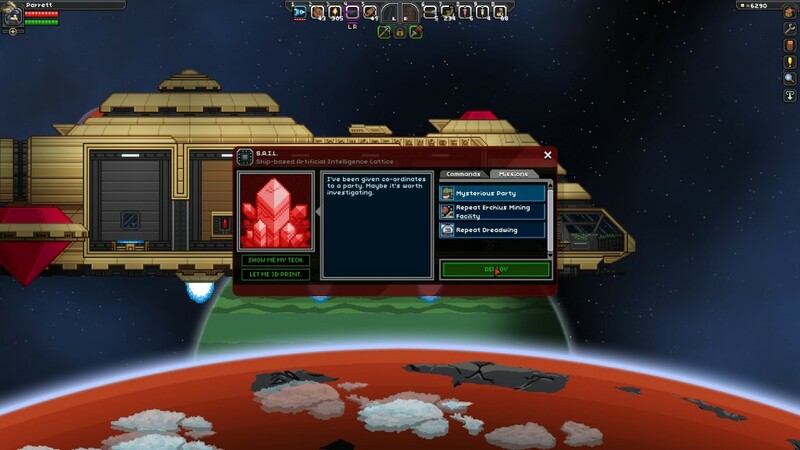 Each little star that you’d click on there has multiple planets that you can guide your space ship to, given you have enough fuel resources to make it there. 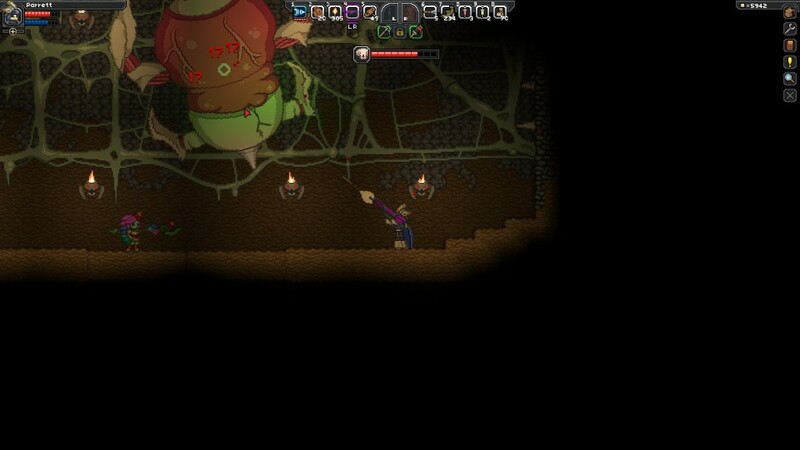 If you look closely, you’ll be able to see my red cursor in that screen shot. It’s hovering over a star that will bring me to fiery type planets, planets that have magma and super hot temperatures. 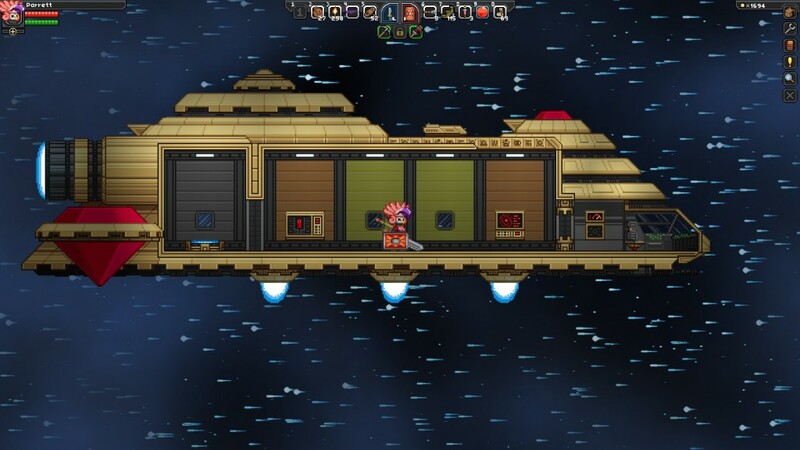 You can visit places of immense cold, crazy radiation, alien worlds, harmless forests, asteroid fields, poisonous oceans and a whole lot more within the Starbound universe. 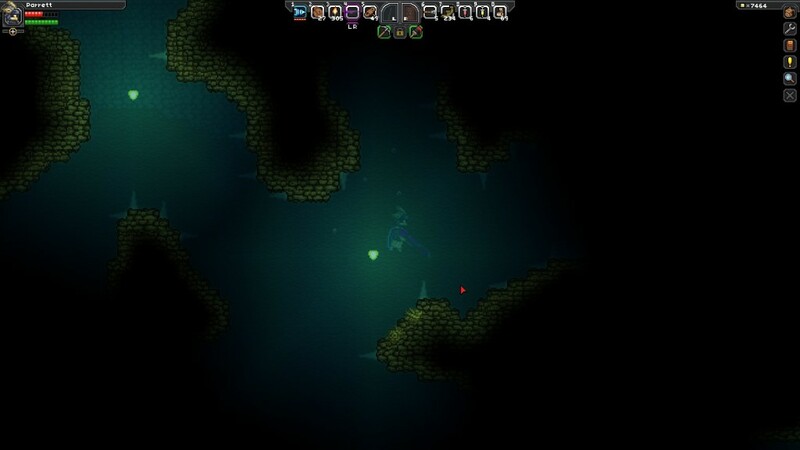 This is one of my most favorite features because I love the exploration and sense of discovery in games and it truly never ends in Starbound. 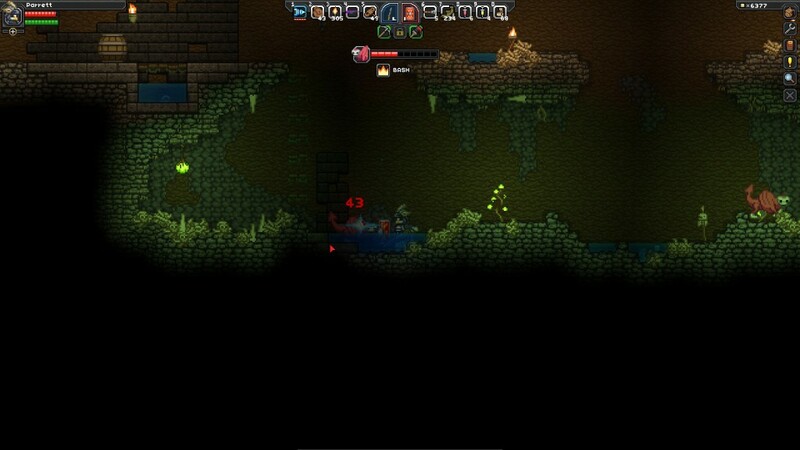 As you explore different planets and dig deep underground, you’ll discover so many different types of weapons, loot and gear that you’ll be able to use as you venture more into the universe. Ever heard of or played a game called Borderlands? There are so many variations to the weapons in that game that there are literally millions and millions of different possibilities when it comes to finding new weapons in the game. 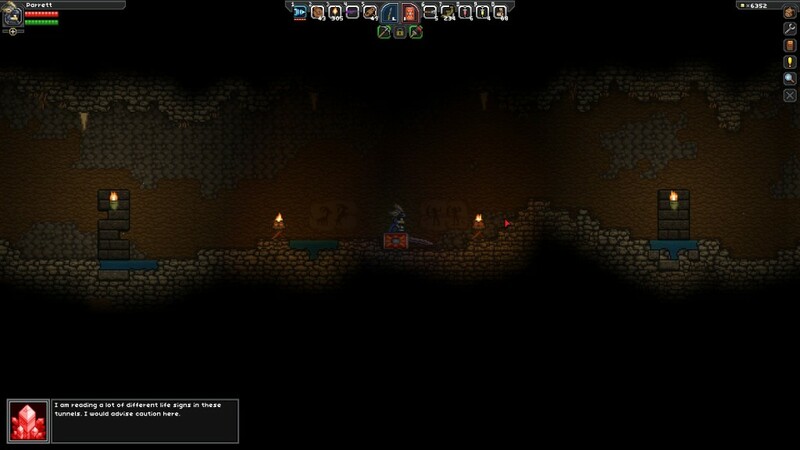 Starbound is that same exact way. Whether it be a sword that deals fire damage, a battleaxe that poisons enemies or a spear that shoots out painful bubbles, there’s literally millions of possibilities and variations to the appearance of said weapons. The same goes for guns as well, there are so many different types and color variations that you’ll run into that it seems basically endless. 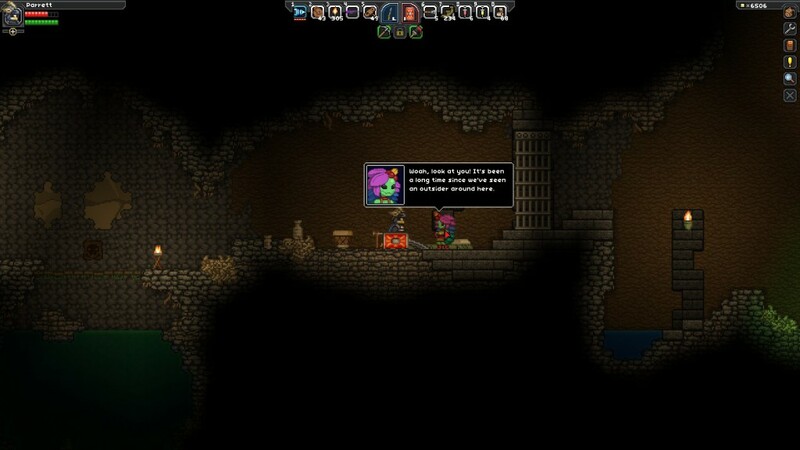 I really enjoy this feature and it works extremely well for a game like Starbound. When you combine a vast universe with an extremely large array of weapon choices then you basically have a game that has an infinite sense of discovery added to it. 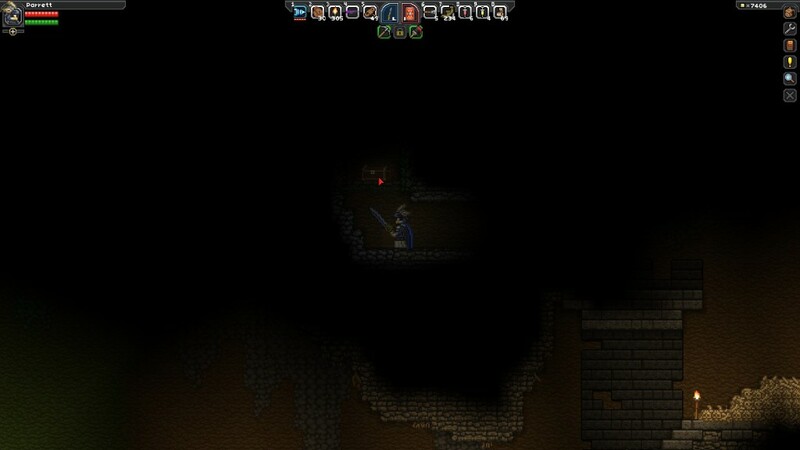 I love it and I always find myself finding new and better weapons all the time. Right now I use a sword and a shield and occasionally I’ll switch into using an assault rifle to pick off my enemies from afar. There are so many different ways to play and so many different weapon types to choose from, battling enemies could be a different experience every time if you deemed it necessary, due to all of the sheer amount of weaponry available. Below are some screen shots that I took as I was doing quests, completing missions and exploring planets. 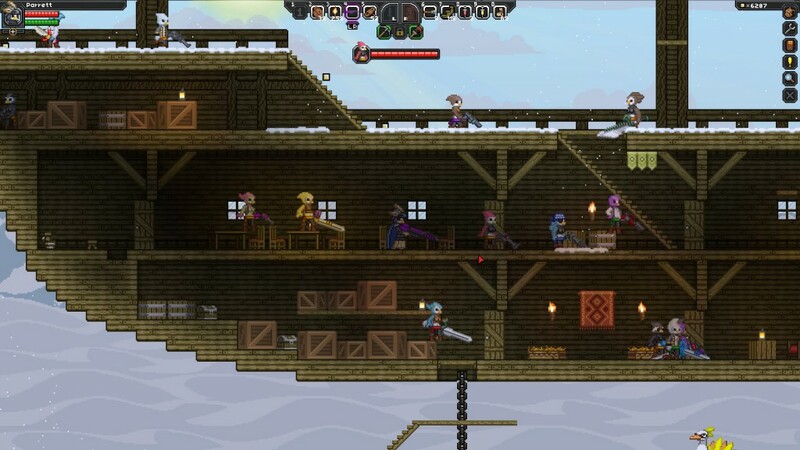 You’ll be able to get a pretty good gist of what the game is like based on these screen shots! 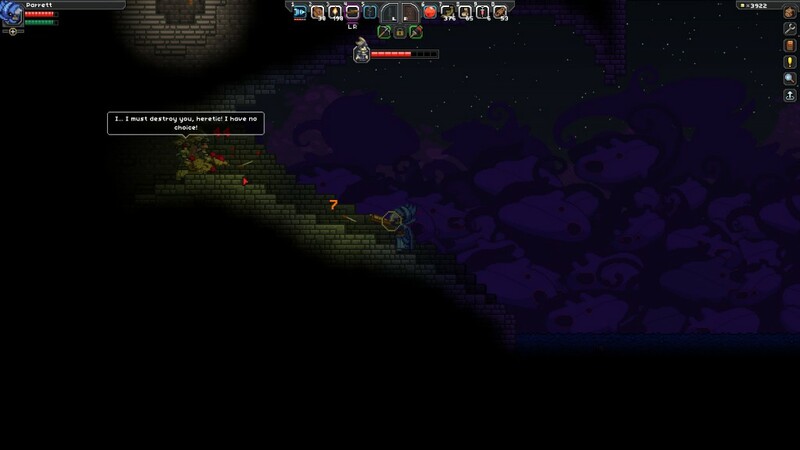 All in all, Starbound is a great PC game that caters to my insane need for a sense of discovery. If you are like me at all, loving the sense of discovery that comes with awesome games, then I highly suggest that you give this game a go. There is so much to do and so much to explore, it’s an endless side scrolling adventure! 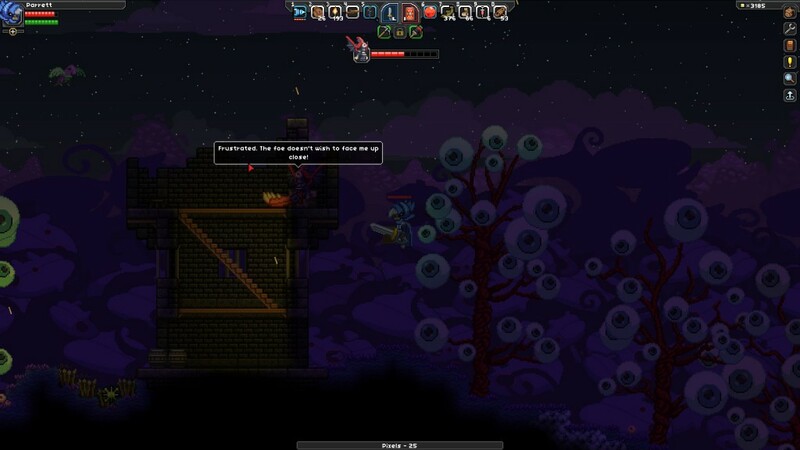 So, what do you like about Starbound? What have your experiences been like with this game? 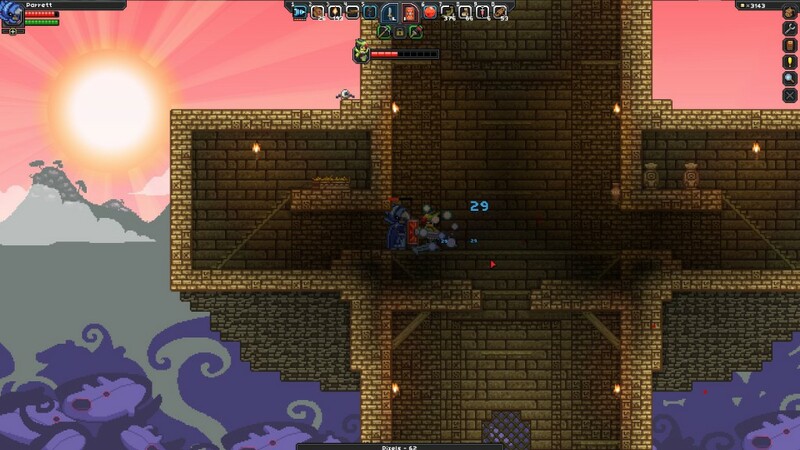 Tagged starbound. Bookmark the permalink.